Aleksandrina Skvortsova was awarded with one of the APS Scholar Awards for her presentation 'Conditioning of the neuroendocrine system: Learned oxytocin responses'. 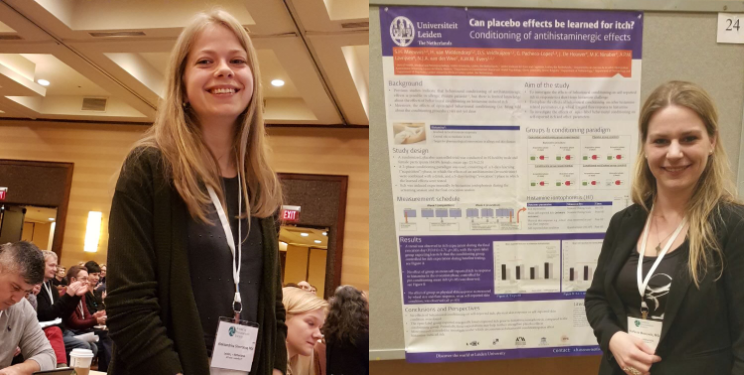 Stefanie Meeuwis was honored to present her poster in the APS Citation Poster session, where the best conference abstracts were presented. Her poster was titled 'Can placebo effects be learned for itch? '.